IAG, Image Analysis Group is comprised of Image Analysis, Ltd., Image Analysis, Inc. and Venture Partners. Through our three divisions: Strategy, Trial Solutions and Bio-Partnering we create successful partnerships with biotech and pharma companies to develop new treatments, which improve patients’ lives. IAG is a unique clinical development partner to life sciences companies. We believe that strategic use of imaging, such as MRI, CT, PET accelerates drug development and lowers investment risks. IAG’s team broadly leverage our proprietary image analysis methodologies, power of our cloud platform DYNAMIKA, years of experience in using AI for patient selection and early read-outs to ensure higher probability for promising therapeutics to reach the patients. We design clinical trials with optimal imaging endpoints to prove novel drug efficacy, to reach go /no-go fast and to focus the resources and budgets. IAG’ global clinical trial delivery team, HQ in London, UK and Philadelphia, USA ensure reliable execution of clinical programs. Our operational efficiency is underpinned by the use of our proprietary cloud platform DYNAMIKA. 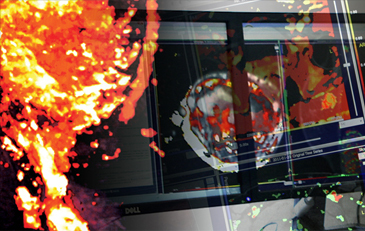 DYNAMIKA has powered over 100 phase I-IV multi-centre studies, ensuring robust imaging data management in multi-centre trial setting and fast imaging data review. This is a unique comprehensive software system to control trial progress, conduct central reads and,when needed, use built-in AI for earlier read-outs and decision support. 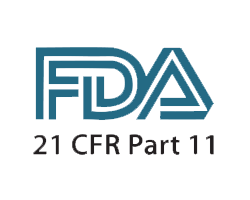 Certified to the highest industry standards for clinical and trial use, including ISO13485, FDA510K, CE, 21 CFR 21-part 11. The streamlined technology backed approach to trial operations improves ROI and increases the transparency of study performance. Our independent Bio-Partnering division fuses risk-sharing business models and agile culture to accelerate novel drug development. We closely work with our venture partners and biotech executive management to optimise financial and operational outcomes. While studying for her PhD at Leeds, UK Olga Kubassova began work on commercialising her research. She was the first winner of the Sir Peter Thompson Enterprise Award, and ten years on her bright idea has developed into a global business with HQ in London, UK and Philadelphia, USA. In this video, Olga talks about the encouragement she received in establishing the business, the fast growing team and endorsement from blue chip partners, which include top 10 pharmaceutical companies, innovative biotech and medtech players and IAG’s own portfolio companies. Integration of cloud platform, study-specific biomarkers with experience of IAG’ commercial and operational team ensures meeting your business objectives for growth or partnering, fast execution of projects and scientific credibility of the outcomes. An independent investment division of IAG seeks to partner with biotech companies with promising compounds at early stages of clinical development or academics with IP ready for commercialization. Since 2007, over 2000 articles were published by IAG’s team and advisory board to cover scientific discoveries, technology break-throughs and special cases. We list here some critically important papers and abstracts. 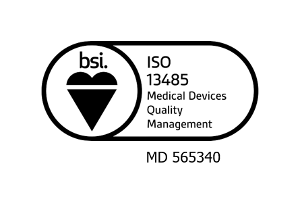 ISO Quality Management System and SOPs audited by BSI and external partners as well as CE and FDA510K clearance for DYNAMIKA platform.